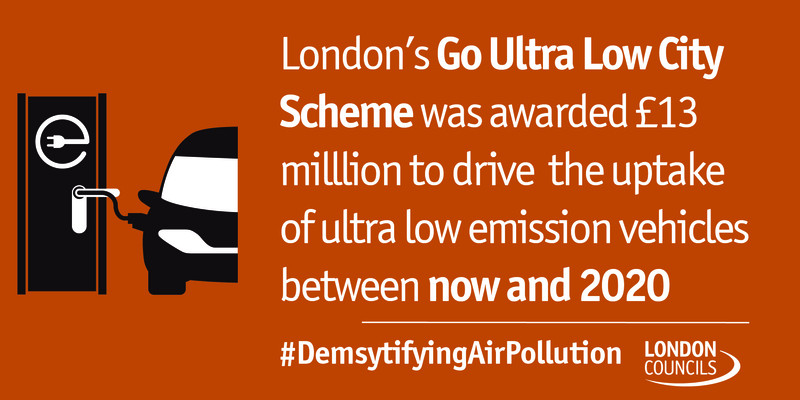 Traffic reduction is a crucial factor in improving air quality; given exhaust emissions and tyre wear and tear are the main contributors to air pollution in London. Not every single car trip can be done by other modes, therefore the traffic that remains must be clean. Electric vehicles offer no emissions at tailpipe, and also produce less PM from other areas such as brakes and engine soot. But it is important to remember that they do produce emissions, those that derive from the production of the electricity that they use to charge. However, there is more and more research showing that this is still lower than the overall emissions seen with petrol and diesel vehicles, and even hydrogen ones. Additionally, this should only get better as the UK’s power sector decarbonises. However, electric vehicles are not completely immune from other environmental impacts and one issue that is emerging more and more is the sourcing of lithium for the batteries. There are a number of negative environmental and social impacts resulting from mining lithium and these need to be reduced or ideally completely removed to manage this more effectively in the future. Re-using and recycling of lithium needs to play a greater role in this. There are issues that need to be addressed with the regulations that govern vehicle engine standards in Europe – the Euro standards. Firstly, they apply at different levels to differenttypes of vehicle, for instance there are different regimes for heavy goods vehicles and private cars. This has led to a difference in the performance of the current Euro VI/6 standards. It is widely acknowledged that the Euro VI for HGVs has been quite effective in reducing the main pollutants, whereas the Euro 6 standard for private cars has not been so adequate, given the laboratory conditions the vehicles are tested in. It has now been shown that many Euro 6 cars emit much more than they claim to in real driving conditions, and trust in them manufacturers has been eroded due to the ‘Dieselgate’ scandal.